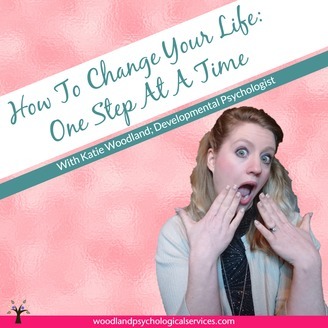 Join Developmental Psychologist, Katie Woodland, as she walks you through the steps you need to take to change your life - one step at a time. 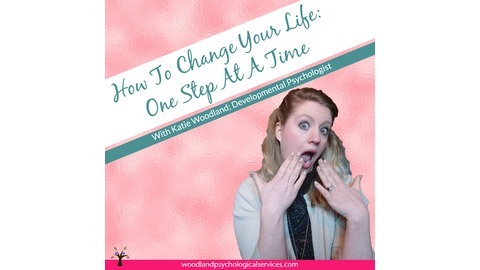 Find out how you can overcome stress, depression and anxiety by taking small steps every day and implementing these tips, tricks and hacks so that you can effortlessly live the life you want right now. Each week catch up with Katie in the way you want: + Join Katie, every Sunday as she explores different hobbies and 'fun' things to do to improve your mental health #SundayFunday + Listen on Tuesdays to find out 'the next step' you need to take on your journey towards mental wellness #TuesdayTip + Catch up on a Thursday as Katie busts myths and delves deep into what is (& what is not) working in the therapy world #ThursdayTherapy + Open your mind to new possibilities as Katie rounds up new research every Friday #ResearchRoundUp I look forward to helping you on your journey towards a life full of fun, laughter and happiness. See you soon, Katie x A heartfelt thank you to 'Mild Wild' for the use of their track 'Particular Pace' as the intro music. You can find out more about Mild Wild here: https://mildwildmusic.bandcamp.com/releases.